Advocacy Campaign- Take Action Now! On October 9th of 2011, amidst the chaos of Egypt’s first revolution on January 25th, 2011, a Coptic Orthodox church near Aswan, Upper Egypt, was demolished by local Islamist Salafists. The Islamist extremists had demanded Aswan’s Copts remove any visible Christian symbols including crosses, bells, and steeples from the church structure. Tension soared when Copts in the area refused to abide by these demands. To avoid escalation of the conflict, the governor of Aswan, Mustafa Kamel el-Sayyed, organized a meeting between Salafist and Coptic leaders in an effort to reach an agreement. When mediation efforts failed, Islamist Salafists threatened with violence. Eventually, local Salafists demolished the church while the governor denied the existence of the church. He later took back those claims but asserted that it did not have a proper construction permit and thus was deemed to be illegal. 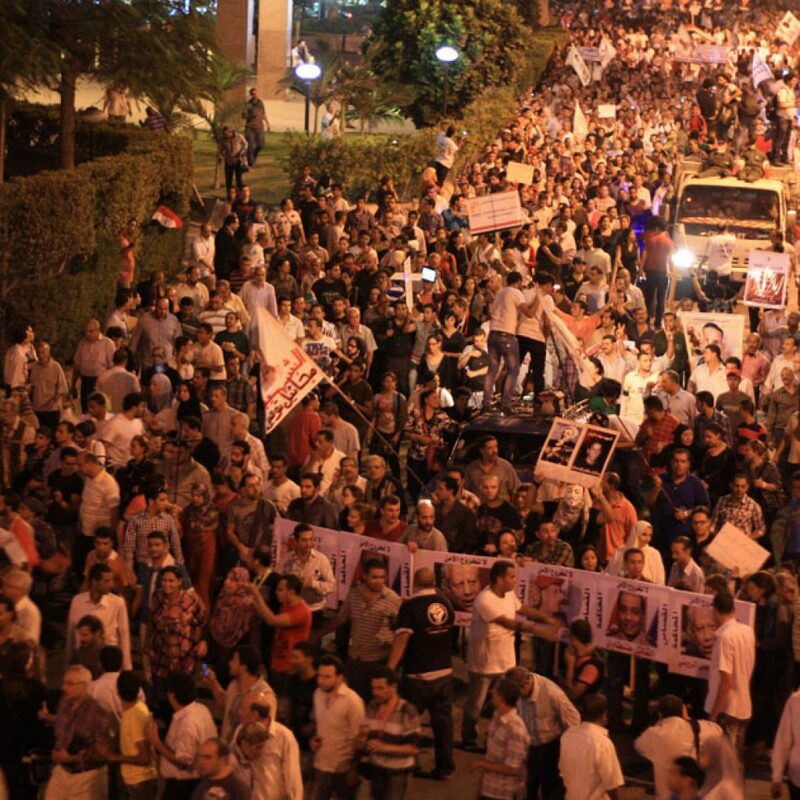 The government’s mishandling of the issue ultimately sparked the Maspero demonstrations. 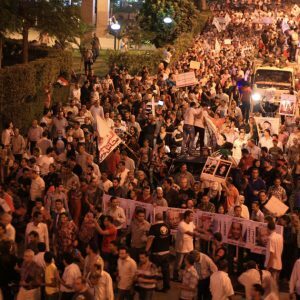 Thousands of peaceful demonstrators, the majority of whom were Copts, marched through hostile Muslim crowds from the Shoubra neighborhood in northern Cairo to the Maspero building. 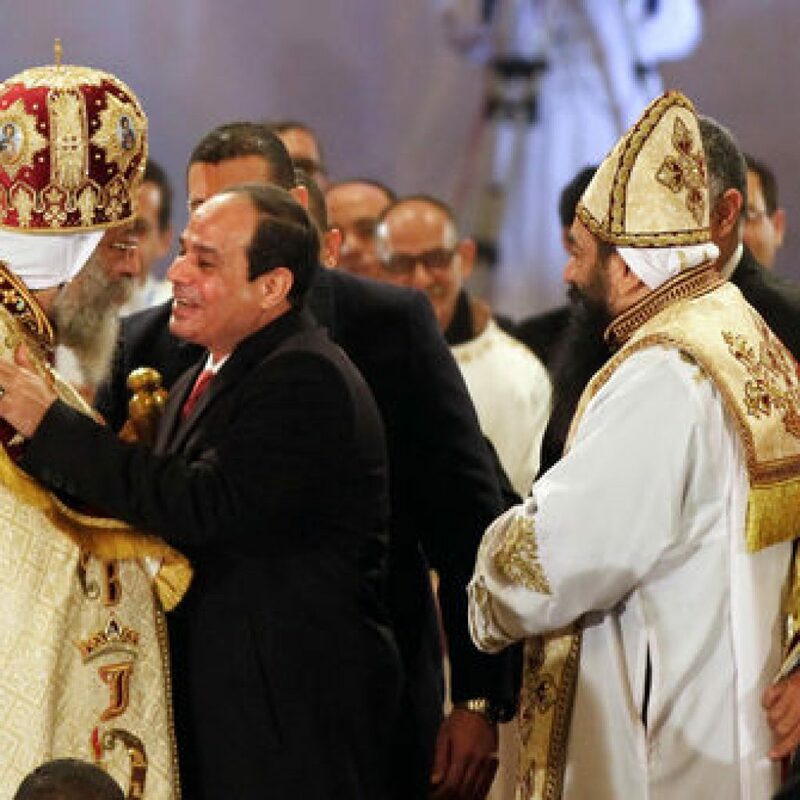 They had originally planned to converge in front of the state-run television station, Maspero. As the demonstrators approached their destination, they were attacked by Islamist fanatic mobs that laid waiting and hurled stones at them from the top of traffic bridges. Egyptian Army forces intercepted the demonstrators who found themselves caught between them and the Islamists mobs. 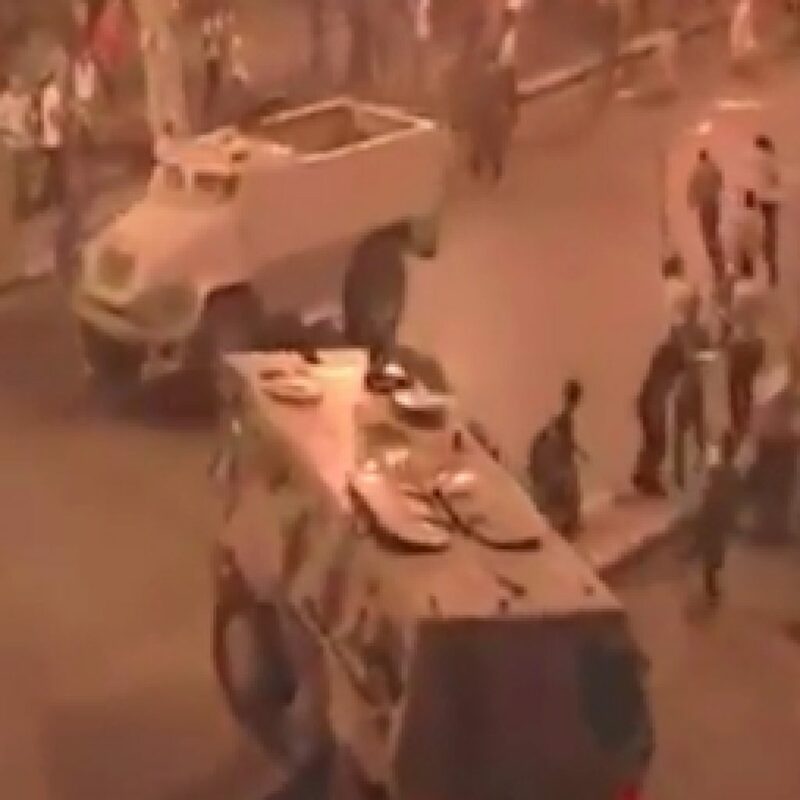 The Egyptian Army then attacked them using riot gear, batons, live ammunition and armored vehicles which were used to brutally murder the demonstrators by running them over. 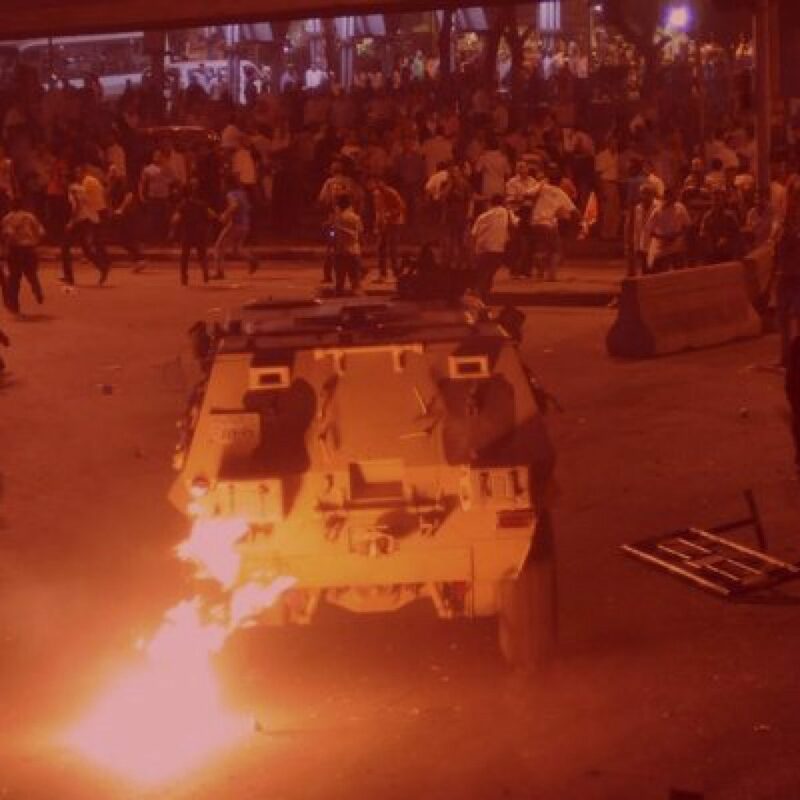 The Egyptian Army’s brutal confrontation with the crowd left 28 demonstrators dead and 327 injured. 27 of those killed were Copts; 14 of them were murdered by the armored vehicles. – Accounts from interviews and social media began to contradict official reports as the Egyptian Supreme Council of the Armed Forces (SCAF) tried to downplay and even reverse accusations made about the whole incident which was orchestrated by the state. – To date, only two low-ranking soldiers were found guilty of a misdemeanor of “involuntary killing.” Both remain free and continue to serve in their army unit. – The massacre is still not officially recognized as such by the government while investigations have been inconclusive. – Autopsy reports performed per the Coptic church’s request and with the agreement of the victims’ families confirmed the carnage reported. – Coptic Solidarity continues to call on Egypt’s government to render justice by holding those responsible accountable and urges to make October 9th a Day for Commemoration of the victims.